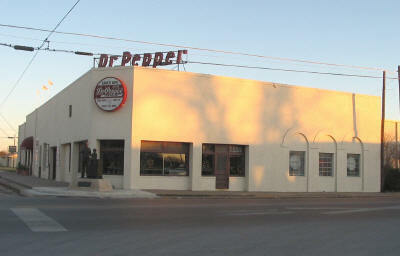 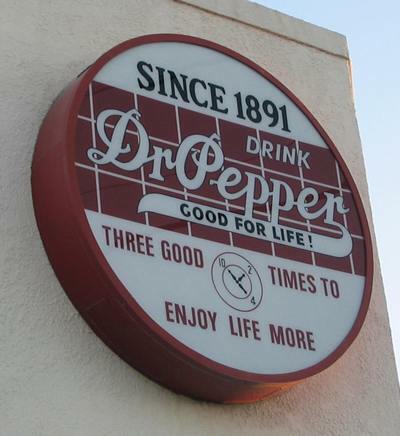 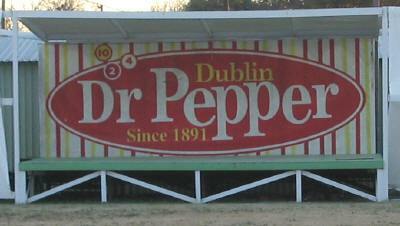 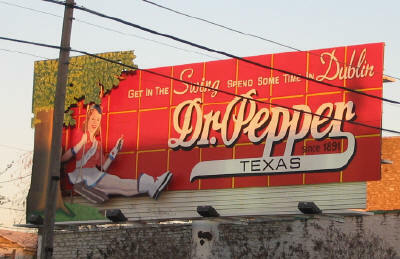 Dr Pepper Painted Signs in Dublin, Texas. 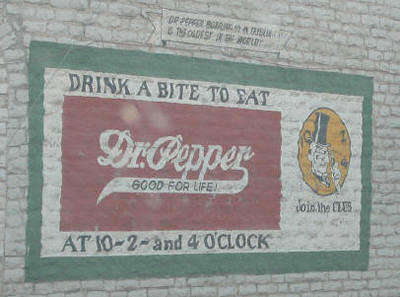 Dr. Pepper painted sign on wall. 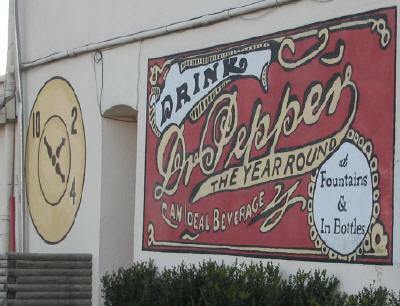 Above the sign reads "Dr. Pepper Bottling Co. in Dublin is the Oldest in the World"